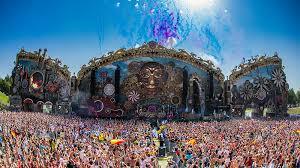 Today we received a great news, an announcement, as Tomorrowland causally just dropped KSHMR, Virtual Self, Tchami x Malaa, and a Pendulum DJ Set.Great artists will come at Tomorrowland 2018 including Alok, Bassjackers, David Guetta, Laidback Luke, Tiga and so many more, it’s already set to be an amazing time. There will be included also Alesso, Alison Wonderland, Armin van Buuren, Axwell Λ Ingrosso, Eric Prydz, Benny Benassi, Dimitri Vegas & Like Mike, Hardwell, RL Grime, Lost Frequencies, Rezz, San Holo, Tiësto, and the #1 DJ in the world, Martin Garrix. And many, many more. The Tomorrowland 2018 will on July 20-22 and 27-29, all the zones will be transformed into a magical land, with new adventure and discover the new world “The Story of Planaxis”, with the best Djs on the planet. Alesso, Alison Wonderland, Armin van Buuren, Axwell Λ Ingrosso, Eric Prydz, Benny Benassi, Dimitri Vegas & Like Mike, Hardwell, RL Grime, Lost Frequencies, Rezz, San Holo, Tiësto, and the #1 DJ in the world, Martin Garrix. And many, many more.